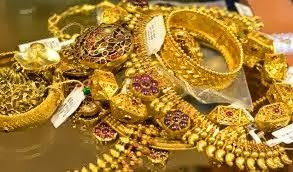 IN next session of commodity the export of gold in August month was slips down and halved The amount of gold jewellery India exports now directly impacts gold imports by the world's biggest buyer of bullion, as the government tries to curb a bulging current account deficit. Export fell in August to $561 million whenever the export was in July to $441.4 billion with a loss of 70 % . mcx sx report says that gold future continuous on downside shows weaker trend for this year . The depreciation of Indian rupee against dollar is expected to support yellow metal price in mcx . The gold future trading was down by .61 % to 29676 per 10 gram on 16:08 pm . Traders may take sell position near 29850 with the stop loss of 30000 for target near 29650 and 29500.